Finally we can show you the program of the festival in June, so take a look and prepare yourself for the big event! Click on the Flyer to the left, to read it in English. The German version is the one to the right. We are getting closer and closer to the date of our final event! From June 11-20, the Kreativquartier in Munich invites you to join the festival “what´s the deal? – moving urban cultures”, the closing event of the WTD project. Each day will be dedicated to a special topic where a manifold program will be prepared, all dealing with sustainability and urban cultures. While the Opening Day, June 11, will contain the vernissage of the exhibitions, a skateworkshop and performances, June 12 will offer discussions about reclaiming and using public urban space. June 13 will be kind of a huge grab bag filled with further thought-provoking talks and presentations, videos and shortmovies, poetry, live concerts and many more. June 14, on the other hand, will be all about bikes – what kind of creative bycicles are swerving on the surface of our planet beyond the traditional types? How can you repair them? Can the riding of a bike be sport and art at the same time? If you want to find out, this is your day. The following Friday, June 19, is dedicated to design. A workshop will let you learn about the connection between design and compassion. Designers from various places in Europe will discuss their role as responsible cocreators of commodities and in the evening a fashion perfomance awaits you that brings even food into play. Can you imagine anything better? Our last day, June 20, will deal with the prominent Munich WTD-theme: the popular subculture of skateboarding. The Nomadic Sculpture will be ready again for the tricks of skateboarders and bikers. 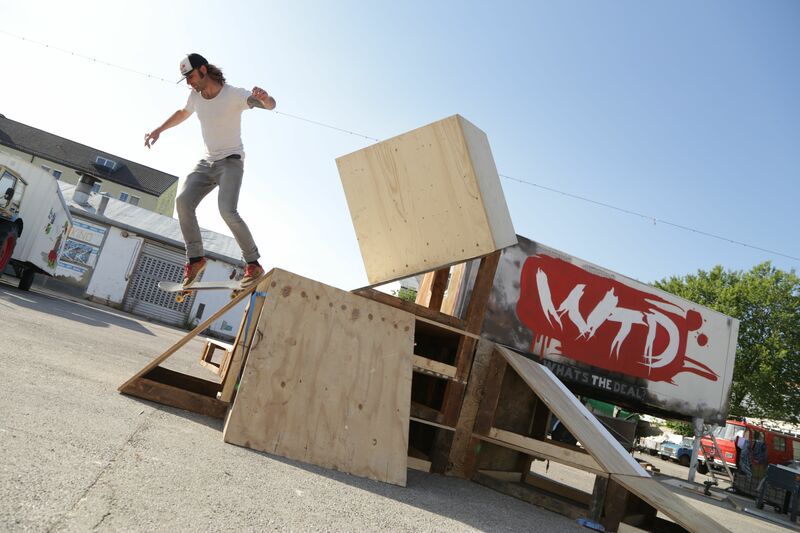 Kids can learn in a workshop how to skate on a board, while videos about famous D.i.Y skateparks around the world will be shown in the WTD container. 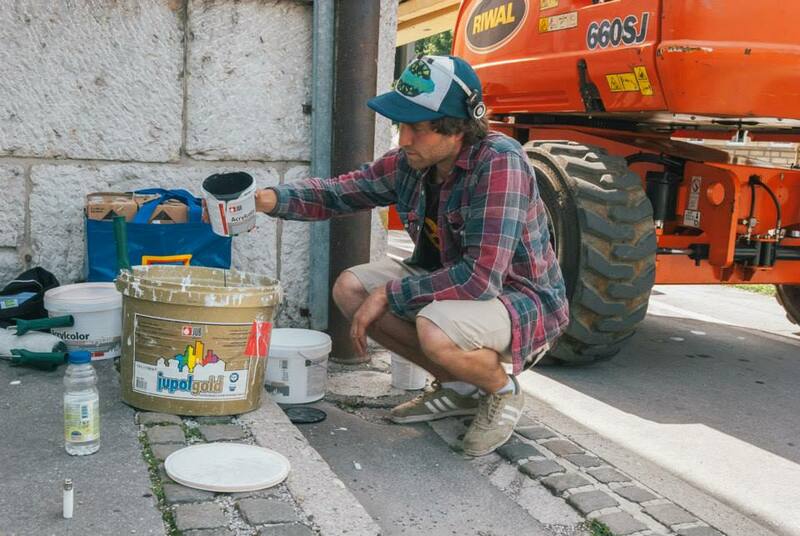 It will be followed by a discussion between representatives of the city and the Munich skateboarder scene on how D.I.Y. skateparks could fit to Munich’s Skateparkcity image. But no worries, there is no void on days without a program! Except for Monday you can still enjoy many intriguing artworks and installations at our exhibitons. A WTD-infocenter is ready to answer all your questions about the background and results of the WTD project – on screen, on paper and face-to-face. And on top of this bands and DJs like HopStopBanda, Retrogott & HulkHodn and DJ Salsoul with DJ Watusi and Milton Flores will provide you with music almost every evening. 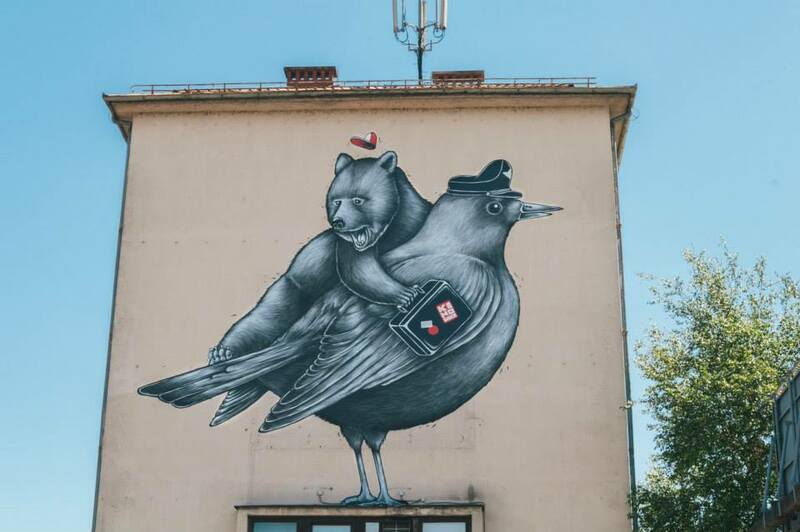 Following the last year’s success with WTD’s Mural Arts Residency in Ljubljana, when Pallo Ollap furnished an empty house-front with a pigeon carrying a bear, this year we have been able to choose from 64 applicants and the selection process was not easy. At the end of the second round, a Croatian artist Miron Milić (1980) was selected. 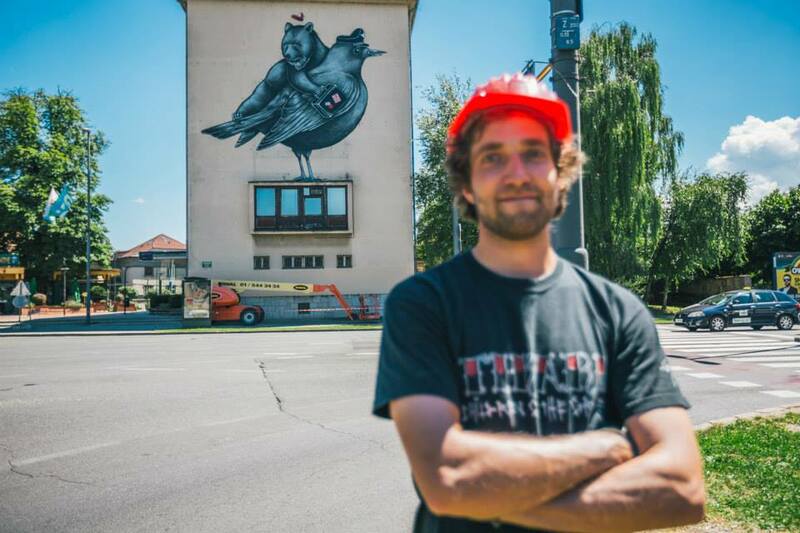 Between 17th and 22nd February he created a new mural on the house-front of the Mahr House, changing the view of Ljubljana’s Central Market. The piece was said to explore the phenomena of consumerism and sustainable life style in relation with youth urban cultures. OK, I guess it really does, but really, if you can’t make it here to see it in person, at least check out the making-of video, shot by Multipraktik. I recommend a full screen action (take time, it is short) and with speakers on (yes, I do think the soundtrack is mean)! 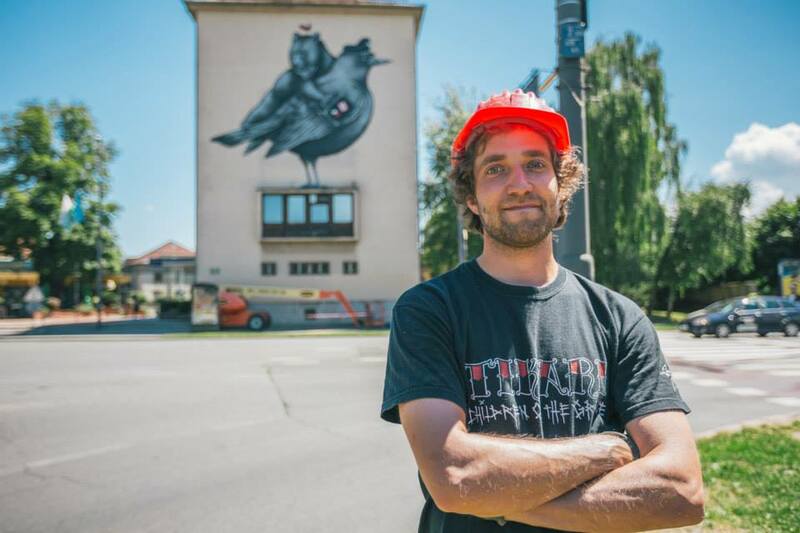 What’s the Deal and Kino Šiška Centre for Urban Culture (Ljubljana, Slovenia) are pleased to announce its mural arts initiative. The mural arts residency is offered to artists who want to develop and present their work addressing the theme of consumption and sustainability. The residency offers a three-week stay in Ljubljana. Artist-in-residence will receive a fee of 1000 EUR net. It will take place for three weeks in the February 2015 – March 2015 period. The final dates will be set in an agreement between Kino Šiška and the selected artist. There is a budget for materials and services for realizing the work. Travel costs to and from Ljubljana will also be taken care of. Participants must be EU residents or residents of Iceland, Liechtenstein, Norway, Turkey, Former Yugoslav republics or Turkey. Artis from Slovenia will not be accepted. Younger artists (under 35) will receive a more favourable treatment. Inclusive approaches that would involve an active role of local (Ljubljana’s) artists, designers or other practitioners in development and/or realization of the project are also preferred. For more details and technicalites on how to apply, please refer to this link. 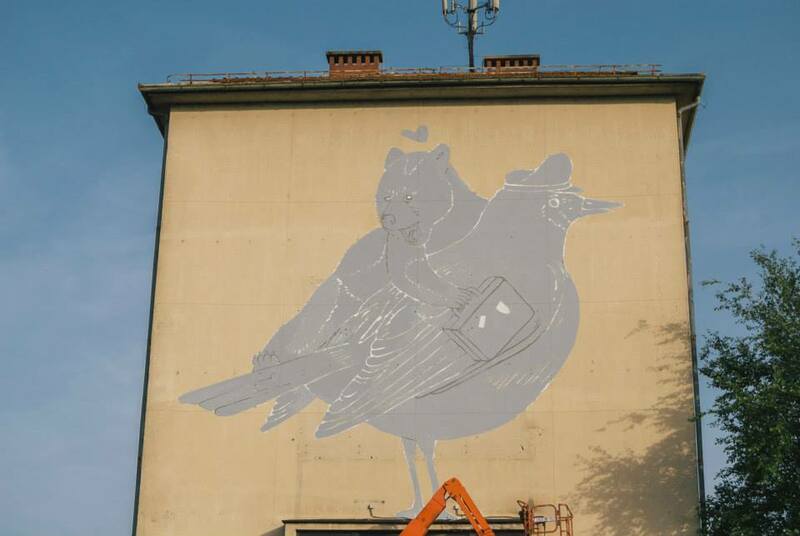 Between 4 and 6 July, a unique mural appeared in the city centre on the building of Ljubljana Administrative Unit, created by Finnish artist Pallo Ollap. As part of the international multidisciplinary project What’s the Deal? 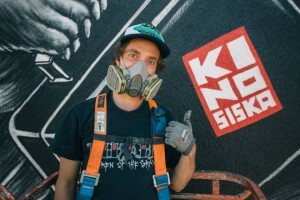 (WTD), Kino Šiška has hosted an international Mural Arts Residency. 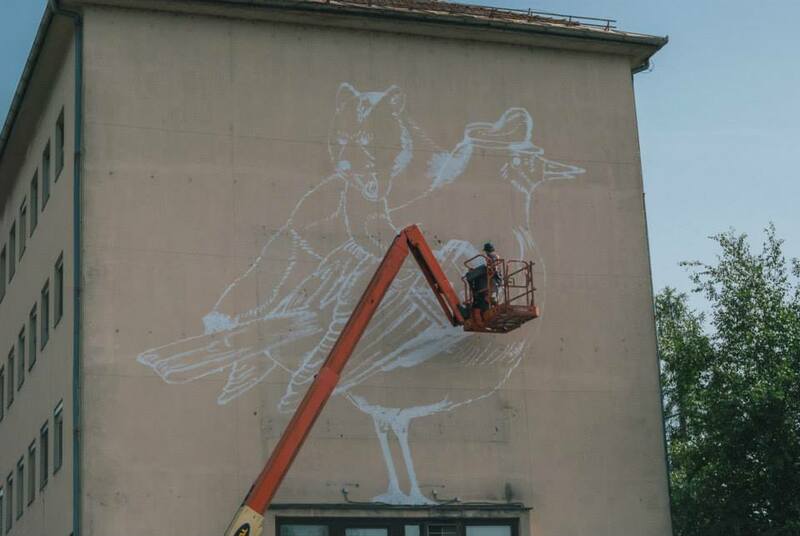 In 2014 the participating artist was Pallo Ollap. In recent years, Ljubljana as well as other cities have been faced with the issue of inconsiderate and mostly unrestricted growth of billboards, large public LCD displays and other types of invasive advertising. Almost any large portrait area near main urban arteries is being transformed into an area designated for advertising and marketing. 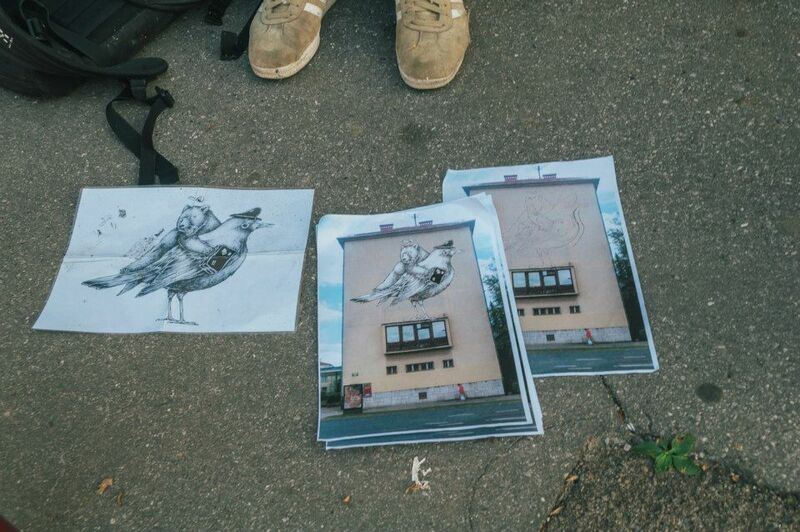 With the help of murals, WTD and Kino Šiška wish to redistribute some of these areas for artistic purposes. And who is Pallo Ollap? This young Finnish artist is a student of applied arts and design at Aalto University, Helsinki. He creates illustrations and paintings, mainly for fun, but occasionally also to make a living. For more than ten years, he has been an active street artist and his murals can be admired in the streets of several Finnish cities. Kino Šiška will be holding an international artist-in-residence programme. 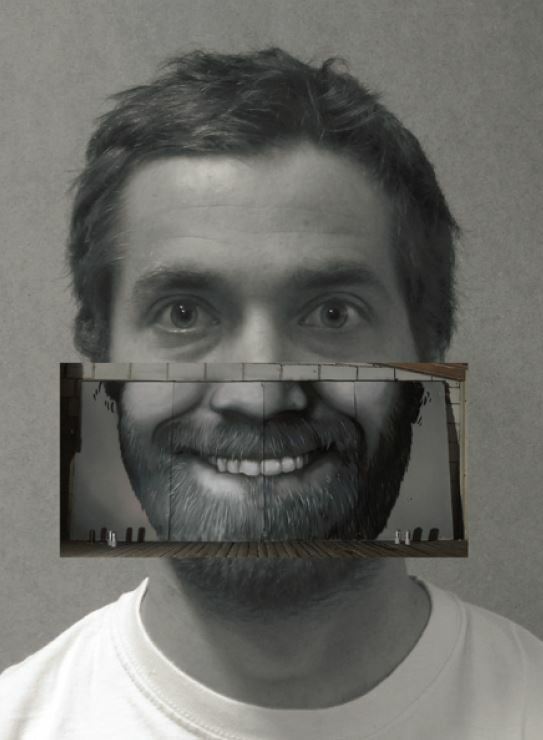 To fill the position in 2014, the Finnish artist Pallo Ollap has been chosen from among the 24 artist applications. Pallo Ollap is a student of applied arts and design at Aalto University, Helsinki. He works in illustration and painting, mostly for fun, but occasionally also to make a living. 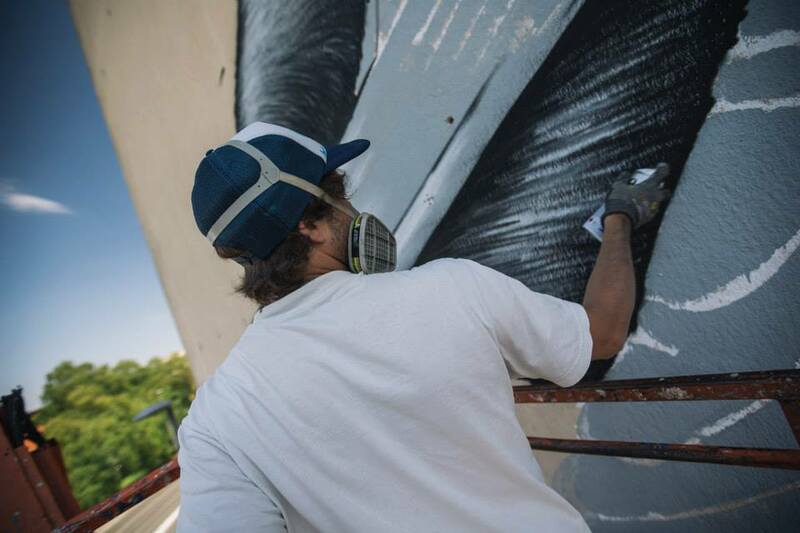 For more than a decade, he has been active in street art; his murals can be seen and admired on the streets of several Finnish cities. 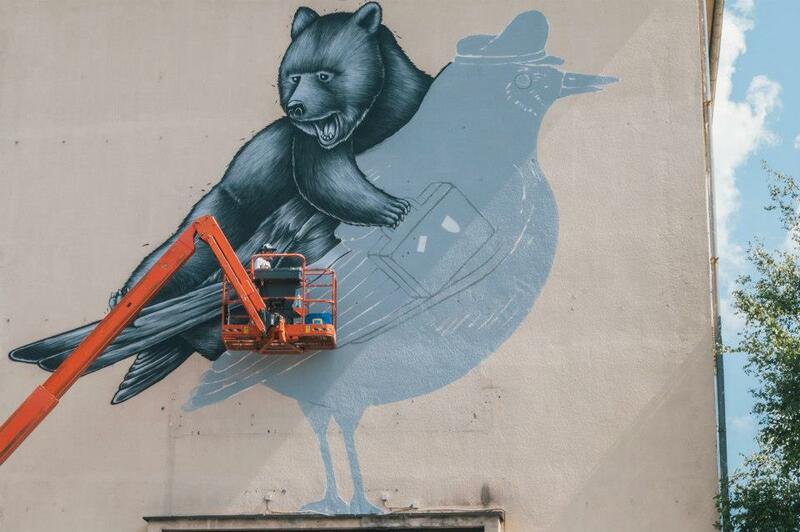 The artist-in-residence programme in Ljubljana will be held in July 2014. 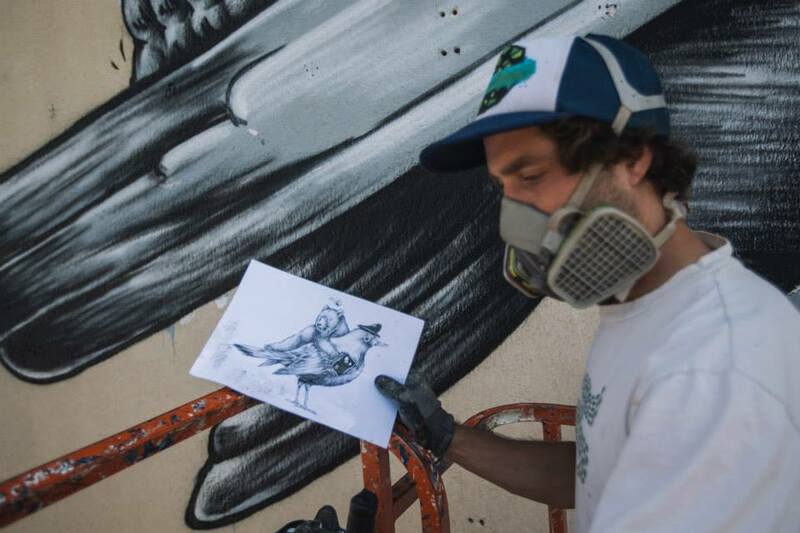 During this period, the artist will create a unique mural in the city centre. 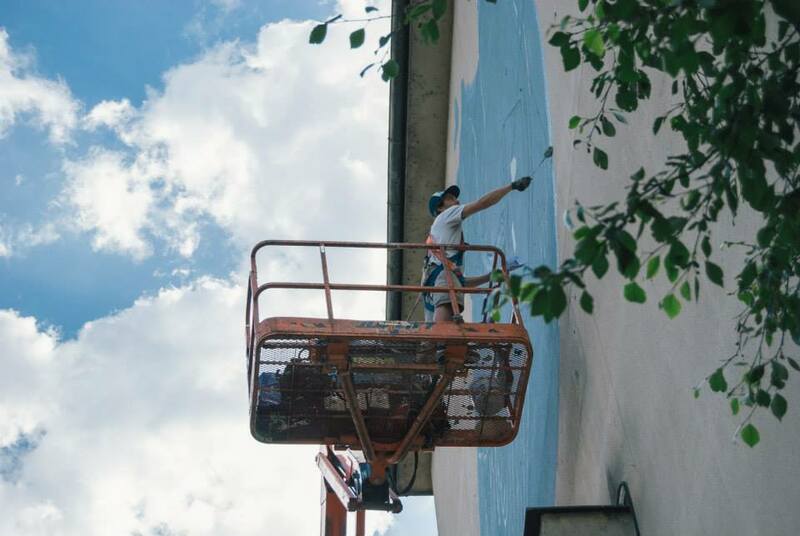 Kino Šiška Centre for Urban Culture (Ljubljana, Slovenia) is pleased to announce its mural arts initiative as part of the transnational project about young urban art: What’s The Deal? 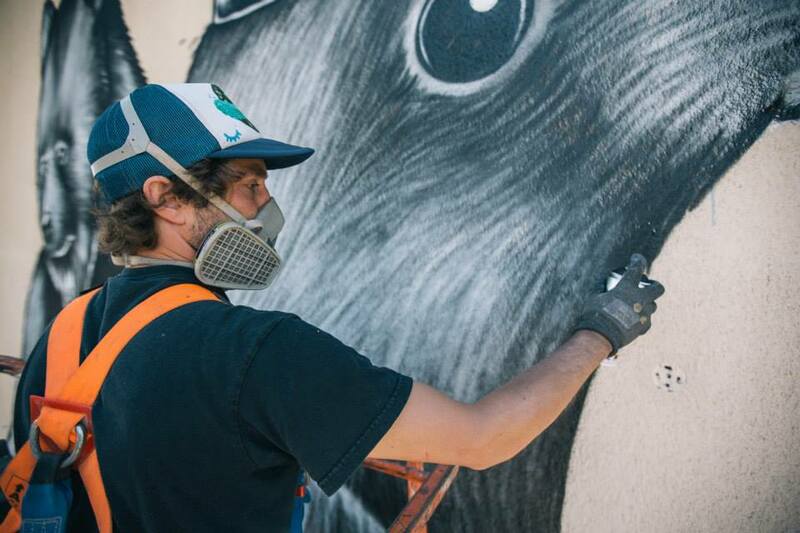 The project explores the phenomena of consumption and sustainability in connection with young urban cultures and uses street art, design, and digital media as exemplary fields. Between 2013 and 2015, partners from several European countries will organize a series of sustainability-related activities in all partner cities: from theme-related mapping of respective scenes to art intervention workshops as well as creative and innovative art work and installations – made visible in public events. For the last decades, not only Ljubljana, but also other cities have been facing the problem of unbridled and poorly regulated sprouting of billboards, large public LCD displays and other types of invasive advertising. This is leading to the conversion of almost any large vertical surface along urban arterial roads into a surface used for advertising and marketing purposes. Kino Šiška will initiate mural arts activities to reclaim some of the space for artistic use. This call for entries is due by Monday, March 3, 2014 at 12 a.m. CET and is open to all areas of visual arts. Proposals that combine visual arts with other media (e.g. painting + sound) are also welcome. Two mural arts residencies are offered to artists who want to develop and present their work addressing the theme of consumption and sustainability. This residency offers a four-week stay in Ljubljana. Artists for each of the two residencies will receive a fee of 1000 EUR net. The residency will take place for three to four weeks in the June 2014 – July 2014 period. The final dates will be set in an agreement between Kino Šiška and the selected artists. A basic budget for materials and services for realizing the work will be covered by the organizer (Kino Šiška). Travel costs to and from Ljubljana will also be taken care of. Participants must be EU residents or residents of Iceland, Liechtenstein, Norway, Turkey, Former Yugoslav republics or Turkey. Slovenian artist will not be accepted. Younger artists (under 35) will receive a more favourable treatment. Inclusive approaches that would involve an active role of Slovenian artists, designers or other practitioners in development and/or realization of the project are also preferred. – A short written explanation about the proposed work plan or project concept. We would like the topic of the proposed artwork to resonate well with our concern about contemporary consumer culture and long term sustainability. (Please limit your explanations to one page – make it short and to the point! Less can be more. You are welcome to include sketches or visual materials). – Provisional technical specification (materials and services you will need for making your project happen). – A short CV or Bio (please limit it to half of a page). – A maximum of 10 images from past works are welcome, pictures of murals are preferred (Images should be at least 800px in width or height, but not bigger than 2MB per image). Please include an image listing document with your filename, title of artwork, media, size, and location of mural. Please name your files as follows: imagenumber_lastname_title: i.e. 001_eisenberg_untitled.jpg. – Your basic contact data (name, address, date of birth, email, mobile phone No). – Anything else you might find crucial. In the selection process Kino Šiška might require more information about the project and your entry. Email will be the predominant means of communication, so stay tuned and check out this page for possible updates!